“I was almost euphoric for a week or two” and “it just makes you feel very, very, very alive” are statements that would make you believe that something wonderful and amazing is being described. Well, I suppose it is, but actually those two statements came from the mouth of the incredible Wilko Johnson during a BBC interview when describing how he received the news that he had terminal cancer. Yes, just before Christmas 2012, Wilko was told that he had untreatable pancreatic cancer and that he probably had only nine months to live. He was also told that if he had chemotherapy it may stretch to a year. He was not impressed and declined the chemo; deciding to simply get as much as possible out of the time he has left. 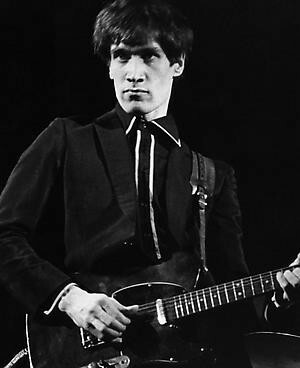 For the uninitiated, Wilko Johnson was the manic guitarist and one of the founder members of those great stalwarts of British Pub Rock/R’n’B, Dr Feelgood. Wilko left the band in 1977 due to “musical differences” but has continued to perform in various guises ever since. Because of his typically colourful rock ‘n’ roll lifestyle, you would not expect Wilko to describe his experience in such a spiritual way. So I was quite amazed when I came across these interviews on you tube recently. Many of us who walk a spiritual pathway talk of “living in the now” and being in “the present moment”, but it is not always easy to walk the talk. So, it is for this reason that I am sharing both interviews here; I find it quite inspiring to hear someone like Wilko speaking in this way. If you are interested in Wilko’s music and his unusual guitar playing technique you will enjoy the radio interview. For just under eight minutes it’s his music and guitar style that is discussed. The rest of the 14 minute interview is dedicated to his battle against cancer (although you would not think it a battle when you hear him speak) and how he is dealing with it. The second interview posted below went out on the BBC TV breakfast programme back in January 2013 and is equally inspiring. At the time of writing it is ten months since this interview and Wilko is still going strong; he is still playing gigs on his “farewell” tour and is in the process of recording a new album. Please check out both interviews and be inspired. What a man!!! This entry was posted in From The Heart and tagged BBC TV, BBC TV Breakfast, British Pub Rock, Dr Feelgood, living in the now, pancreatic cancer, R'n'B, rock 'n' roll lifestyle, Wiko Johnson by Bloggin With Rich. Bookmark the permalink.